Anna Sehnalova gained her first M.A. in 2010 from the Charles University in Prague where she specialized in Languages and Literatures, focusing on Jewish and Chinese Studies and the Jewish diaspora in Asia. She also holds an M.Phil. degree in Tibetan and Himalayan Studies (Oriental Studies) from the University of Oxford. She defended her dissertation in autumn 2017 in Prague but she still proceeds her second doctorate at the University of Oxford. 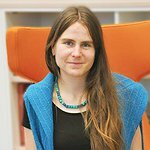 Anna Sehnalova has done extensive fieldwork in Tibetan communities in Tibet (PRC), Nepal, India, and Europe (France). In her work, she combines anthropological methodology with textual research. In 2014-2015 she was the principal investigator and researcher of the project “Tibetan Ritual and its Reflection in Medical Tradition” at the Faculty of Arts at Charles University. Afterwards, she spent one year in Tibet as a visiting Ph.D. student at Tibet University in Lhasa, and Minzu University of China in Beijing. In Oxford, she has worked for research projects “Icons and Innovation in Southwest China’s Religious Texts” at the Institute of Social and Cultural Anthropology, and “Tibetan Law” at the Centre for Socio-Legal Studies. In Prague, she has organised a research project entitled “Deities and Treasures: Perceptions of Landscape and Wildlife in Tibetan Culture and Religion”, and worked for the project “The Nyen Collection (Gnyan ’bum) in the Old Tibetan Ritual and Literary Tradition” at Charles University. Anna Sehnalova is especially interested in Tibetan cultural reflections of landscape and natural environment, wildlife and plants, sacralisation of land and gzhi bdag deities’ cults, popular religion and its interactions with Buddhism, oral and local histories, social history, nomadic oral knowledge, botanical knowledge in Tibetan medicine and ritual (sman sgrub) and environment protection NGOs in Tibet.